UPDATE: A winner has been selected! Hello Random Nerds! Welcome to the latest episode of Weekends with Joe! We have a very special episode today because you, the viewer/reader/whatever you want to call yourself have a decision to make. I’ve selected one of my rare Amiibos from my personal collection to either be a prize for one lucky commenter or to serve as a message to Nintendo that we’re pissed off about their terrible Amiibo distribution strategy. 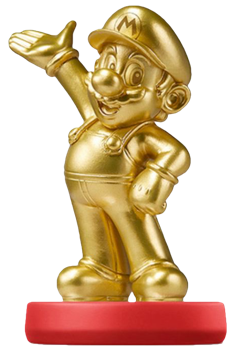 The fate of this very rare Gold Mario Amiibo is in your hands so choose wisely.